One of the twentieth century’s most beloved and acclaimed novels, available in a special limited slip-cased edition. 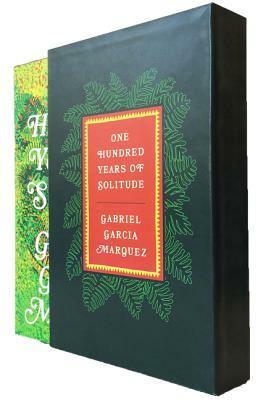 In 1967, One Hundred Years of Solitude launched Gabriel García Márquez to international fame, and cemented his reputation as a literary legend. A central figure in the Latin Boom, García Márquez was the most celebrated practitioner of the literary style that has become known as magic realism, and in 1982, received the highest literary achievement: the Nobel Prize for Literature. Over four decades after its publication, One Hundred Years of Solitude remains one of the most beloved and venerated books in world literature. A rich and brilliant chronicle of life and death, it tells the story of the mythical town of Macondo through the lives of seven generations of the doomed Buendía family. In the noble, ridiculous, beautiful, and tawdry story of the Buendías, one sees all of humanity, just as in the history, myths, growth, and decay of Macondo, one sees all of Latin America. Alternately reverential and comical, One Hundred Years of Solitude interweaves the political, personal, and spiritual, bringing a new consciousness to storytelling; this radiant work is no less than an accounting of the history of the human race. This special edition is a re-designed jacketed hardcover featuring colored endpapers in a beautiful, elegant slipcase.